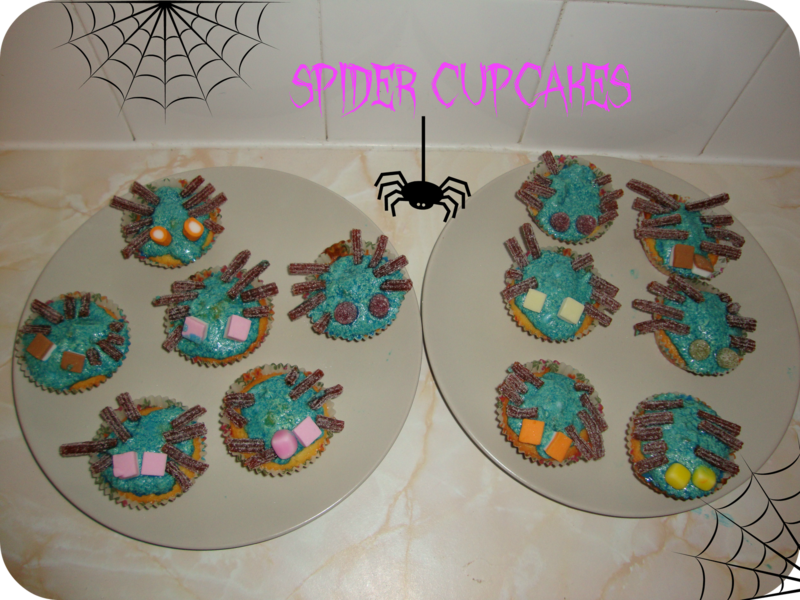 These are really quick and easy to make and great for the little ones to decorate, transforming them into spooky spider delights with purple bursting insides! Combine your sugar, eggs, flour and butter in a bowl until smooth. Add the blueberries and stir through. Divide the mixture evenly between 12 cake case and pop in the oven for around 15 minutes (until lightly brown and risen). To make the icing combine the icing sugar, water and food colouring in a bowl. 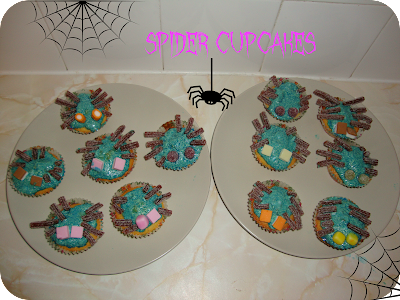 Spoon onto the cakes and using sweets and fizzy laces` make eyes and legs for the spider.